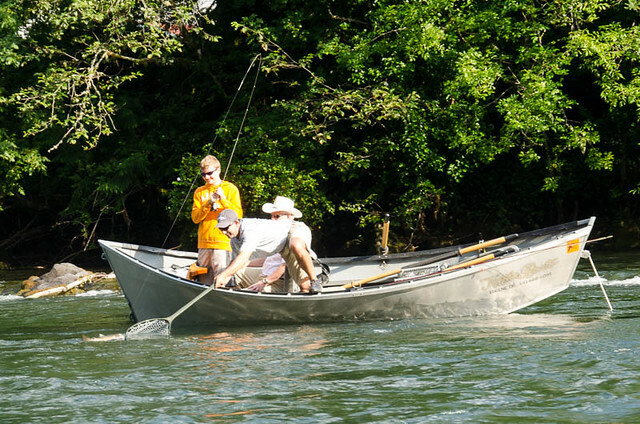 Despite continued hot weather throughout the state of Oregon, fishing opportunities abound. We have been focusing our guided trips on the upper most section of the Mckenzie River a bit more this season. The upper river is colder and has been fishing best from early a.m to around 2pm, then in the evening from 7pm until dark. Our best fly patterns remain hopper dropper rigs, Chubby Chernobyl’s with Jigged Possie Buggers and Jigged Prince Nymphs below them. On the rare day when you do get a few clouds in the a.m Parachute Adams, Parachute Purple Rooster, and small Elk Hair Caddis in brown or tan have been effective on the surface. The Willamette River from Dexter Dam down to “town” continues to produce steelhead. The steelhead numbers are good this year, eclipsing last years run considerably. Despite pretty hot weather mornings have been best. Smaller patterns with 8lbs tippet and a clear intermediate sink tip are a good place to start in terms of tactics. It’s a great time to try skating a dry fly as well. Other highlights around the state include the Umpqua River system. The main-stem Umpqua has been great for smallmouth bass and the North Umpqua has been decent for Summer Steelhead. 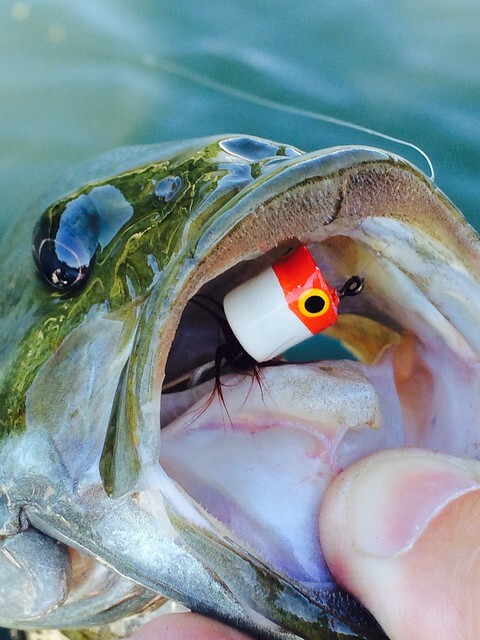 For bass best patterns have been crayfish imitations, heavy rubber legged nymphs and crystal buggers in brown. For the North Umpqua skating dry flies has been good when a burst of fish moves through the system. 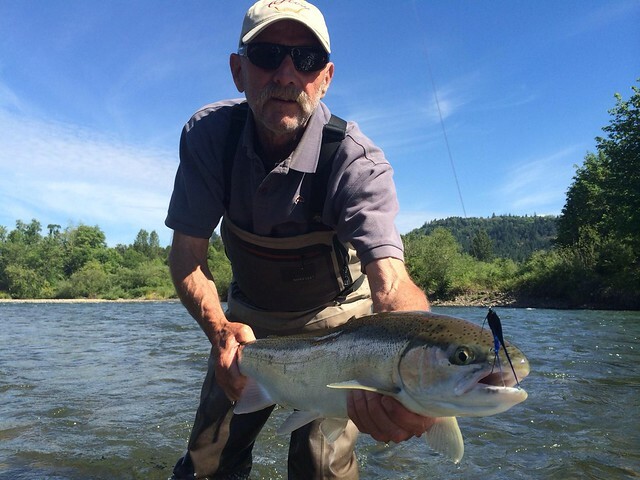 The upper reaches of the McKenzie and Willamette drainage’s are good calls for “beat the heat” wet wading afternoons. It’s hopper season on the upper Middle Fork of the Willamette above Hills Creek Reservoir. Foam Parachute Hoppers, Dave’s Hoppers and Half-down Golden Stones are good patterns. The South Fork of the McKenzie above Cougar is another fun drainage to explore. Beautiful wild rainbows and the occasional Bull Trout attack can be a blast. 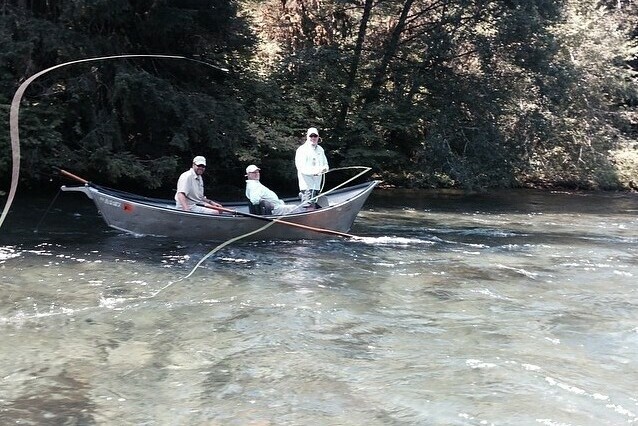 I fished the North Umpqua Sunday and Monday, about 1 1/2 hours each morning. 1 bump was all. Another couple of fish less days. I did not see anyone hooked up. The heat down there was brutal; still a great place to be. I got out on the lower Mckenzie this week, nymphing riffles wasn’t working for me, but swinging pmd soft hackles through deep pools early in the morning, and elk hair caddis late in the evening did bring some action.